This month has been unusually good for Asian representation in widely seen movies. Searching reached number two in the US box office featuring an East Asian father looking for his missing daughter through her online activity. What nabbed the number one spot, though, was Crazy Rich Asians, which features an entirely Asian lead cast, is set mostly in Singapore, and focuses on Chinese identity from the perspective of both those born and raised there, and immigrants who live in places with a vastly different culture (in this case, the USA). There were talks (depressingly yet unsurprisingly) for a while about the film using a white actress for the lead role, and this would have completely undercut the message of the movie – that Chinese is not just an ethnicity or nationality, and the culture means hugely different things to different people. The fact that a fairly run of the mill romcom acknowledges this nuance, to me at least, is quietly groundbreaking. 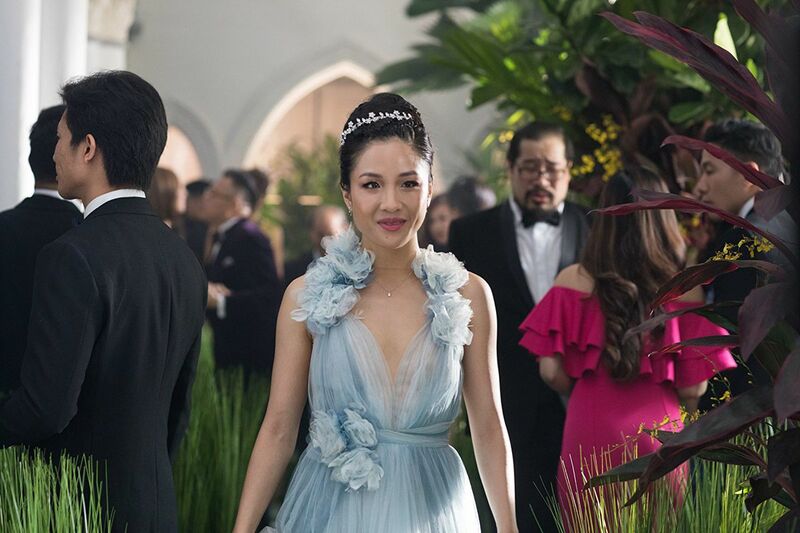 Within the first ten minutes of Crazy Rich Asians, you can essentially figure out how the entire film will play out. Economics professor Rachel has been dating her boyfriend Nick for a year when he invites her to Singapore to meet his family. The catch is that they are in Nick’s terms ‘comfortable’, and in everyone else’s ‘crazy rich’. His intimidating mother Eleanor Young looks down on Rachel for her seemingly American mindset, and many of Nick’s friends and family follow suit. The main conflict revolves around whether her love for Nick outweighs the flaming hoops she needs to jump through to sate, let alone impress, his legendary family’s high standards. Of course, you can imagine what eventually wins out, but the road that director Jon Chu takes you down to get there is delightful, visually spectacular, and frequently funny. This is a movie about the extremely wealthy, and although I have issues with the fact that Chu rarely attempts to critique how this wealth is generated in the first place, it at least makes for some beautiful set pieces. Singapore itself is stunning, a vibrant collection of clashing blues and yellows from the sun and the sea, with architectural marvels peppering the skyline. This is assisted by the elaborate outfits in every scene, in golds and pinks and greens that pop against the sumptuous backdrops. Chu doesn’t get too creative with cinematography here, but for me, a few sweeping shots of the fantastic landscapes were enough to visually quell me. This visual delight comes to a head in the wedding scene; it is a testament to the production design that I almost teared up at the wedding of two characters I cared relatively little for. The performances were not particularly special for me, but each still did the job and kept me emotionally engaged. Constance Wu as Rachel is relatable and likeable, and the nervous energy she projects as an outsider allows you to easily connect to her as an audience member. Henry Golding is once again a dashing male lead, but it is his in-movie mother played by Michelle Yeoh that steals every scene with her icy gazes, completely unreadable and able to land each put down on Rachel as a gut punch. Awkwafina added some solid comic relief as Rachel’s friend Peik Lin, as well as some much-needed goofiness amongst the poise of the scenes with Nick’s family. If you are an enjoyer of lighthearted romcoms that hit many of the beats you’d expect, then Crazy Rich Asians is a must-see. And if not, I’d be surprised if you didn’t have a decent time watching. This movie that is unapologetically Chinese, and certainly not made for me or, I imagine, many of the people who will read this review. But I hope that the section of the Asian audience that enjoys this movie will take it and demand more. I’ve more than had my fill of charming, overwhelming white British romcoms with relatably middle-class female leads, and I’m sure many Americans feel similarly. Crazy Rich Asians might not bring much new to the table narratively, but the fresh perspective adds more than I can describe in this post.